One after the other, government ministers have attempted to present the suspension of pension cuts as a given, even though they know that this would require the consent of creditors, who imposed the measure, which has already been passed into law. The official thus sent a strong message to Athens that the road to implementing the government’s agenda of not honouring legislated pension cuts, despite the apparent leniency of the European Commission, will not be easy. Asked whether the issue would be discussed in the Euro Working Group (EWG) which was about to start, the official said that “there is no reason for any discussion”. 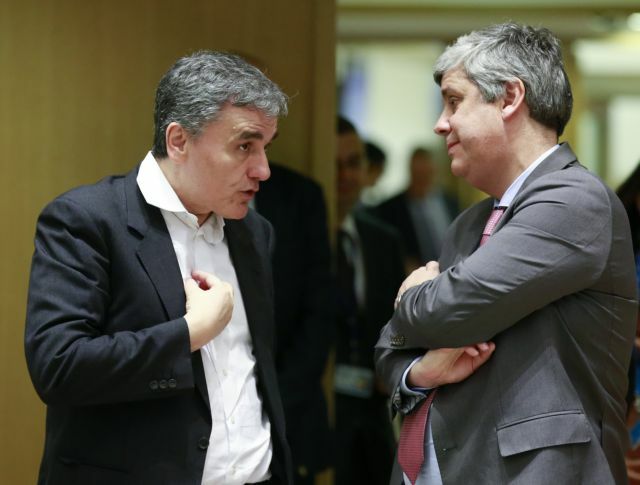 Yesterday’s EWG meeting may not have offered any indication of the views of eurozone finance ministers, as the participants did not discuss issues of economic policy on which the Greek government is offering pledges. However, the tenor of the official’s remark indicates that the first post-bailout mission to Athens, to conduct a review in the framework of the enhanced fiscal surveillance of Greece, will not be easy for the government. Sources in Brussels said yesterday that certain eurozone countries are opposed to the prospect of abolishing or suspending pension cuts. Given the fact that the Eurogroup will make the final decision, it is unclear whether the European Commission’s flexibility on the issue will be reflected in that decision. Moreover, the European Stability Mechanism (ESM) is particularly concerned about the impact on the markets of Greece not honouring a post-memorandum commitment, as regards the trustworthiness of the government. It believes that there is no room for sending any negative message to the markets, especially when there are various external dangers, which have stirred heightened concerns in the markets. The conditional return to Greece of the ECB’s profits from Greek bonds and the annulment of the weight of interest rates are immediately linked to the implementation of commitments that Athens has assumed, to the pending issues remaining from the last bailout memorandum, and to the preconditions that were set in the context of the debt relief deal in June.